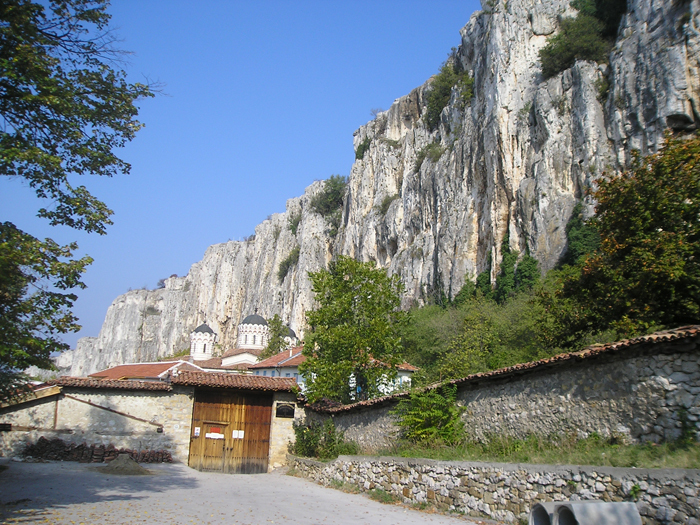 The medieval capital of Bulgaria Veliko Turnovo is situated in a picturesque way, rocky along the banks of the river Yantra in the skirts of the Balkan mountain. The silvery band of the river has carved throughout the centuries a miraculous labyrinth of rocky vertical walls and defiles, amongst which even a more fabulous town has grown up. Most memorable are its historical monuments, the medieval churches and monasteries, fortresses and unique buildings of architecture, the museums of the Second Bulgarian Kingdom /1185-1393/, of the Bulgarian Renaissance, the National Museum of Architecture, the numerous art galleries. Veliko Turnovo is the second biggest Bulgarian University centre with three Universities and several recognized colleges in which study more than 10 thousand young people who contribute to the constantly young spirit of the town. Tourism occupies a great deal of the life of the town. For that purpose many hotels and small picturesque and comfortable cafes and restaurants are built; the attractive show ,,Light and Sound" on the hill Tsarevets is taking place every other evening] and there are many sports and recreation facilities in the vicinities of the town. Nowadays Veliko Turnovo is a symbol of Bulgarian history and a centre of culture, education and tourism, thus attracts many visitors from all over the world. But it also attracts a more specific category of people - the rocks-and-adventure lovers and rock climbers. 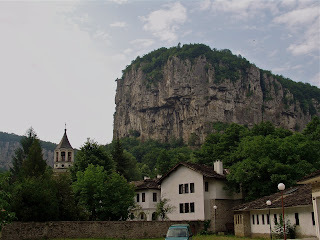 The natural wealth and the active functioning of the Alpine Club Trapezitsa" in Veliko Turnovo are the foundation for the established wonderful conditions for the climbers. 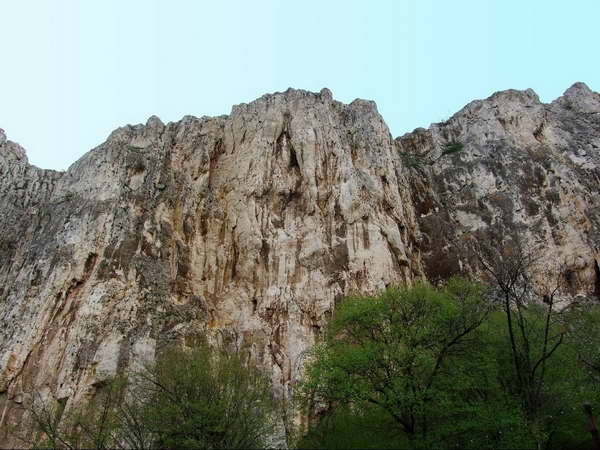 Therefore in 1989 a round of the World Cup Championship competitions for climbing was held here. The climbing places near the ancient monastery ,,St. Trinity" and the place ,,Ousteto" are equipped / for safety/ and offer a real diversity of routes coupled with unique natural fascination.